Street trees keep the city cooler, reduce the runoff to the winter, and provide aesthetic benefits. We have to have trees in the city to make it a livable place. The ash tree was thought to have medicinal and mystical properties and the wood was burned to ward off evil spirits. In Norse Viking mythology, ash was referred to as the ‘Tree of Life’. Even today it is sometimes known as the ‘Venus of the woods’. In Britain they regard ash as a healing tree. But in the recent times, this tree is under the threat of the emerald ash borer (EAB) beetle attack. More than 60 million ash trees, ranging from one inch to five feet in diameter, have been killed by EAB in the southeast Michigan area alone and tens of millions throughout other states and Canada. 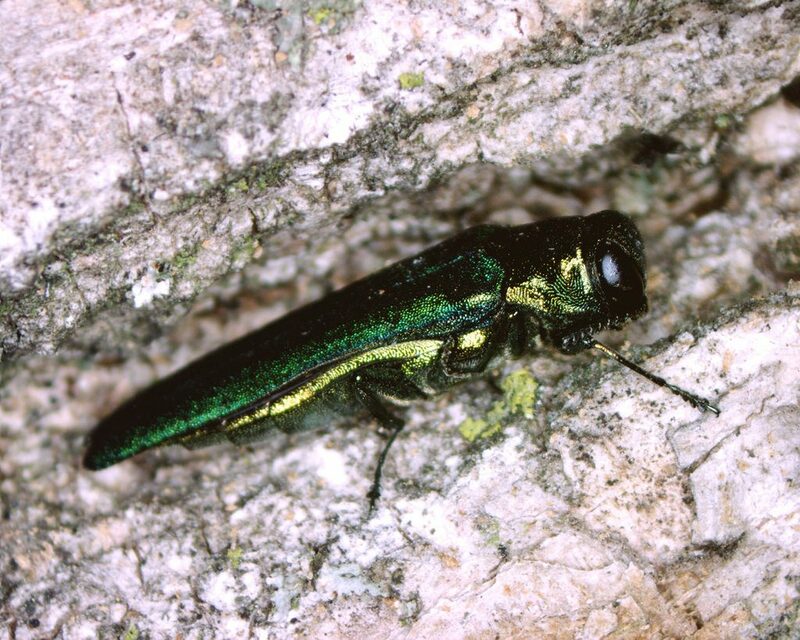 Once EAB populations begin to build, nearly all ash trees in the forest, swamp or urban area are likely to become infested and die — often within a time span of only a few years. The EAB larvae bore into the ash tree and feed under the bark, leaving tracks visible underneath. The feeding disrupts the tree’s ability to transport water and nutrients, resulting in dieback and bark splitting. 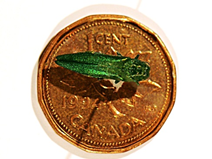 It looks like emerald ash borers will continue to be a problem in Manitoba, despite the extremely cold weather we had in Southern Manitoba. Many people were hoping the twin polar vortexes that brought nearly a month of frigid weather would drive the invasive species extinct within the province. Unfortunately, Manitoba Sustainable Development says this will not be the case. According to Ross, recent in-lab testing shows that roughly 75% of the ash borers die at temperatures colder than minus 30. However, she acknowledges that in a real-world scenario that number is likely much lower. Five years after the invasive insect known as the emerald ash borer was first spotted in Concord, it has spread so far throughout the state that officials may end the quarantine which tried to contain it. The move would not be a surprise since scores of other states have tried and failed to stop the spread of the beetle known as EAB, which can fly five miles or more at a time. Insecticides and some biological control practices are being implemented but these have proved to be ineffective. C Tech Corporation can provide you with one such effective solution.The unique product Termirepel™ manufactured by C Tech Corporation is an anti-insect aversive which repels insects. TermirepelTM is available in the form of the masterbatch, which can be incorporated into the polymeric applications like polymeric tree guards, pipes, etc. The product available in the form of liquid concentrate can be mixed in paints in a predetermined ratio and be applied on the fences in gardens to keep the ash borer away from these places. Our product in the lacquer form can be applied topically on the applications. The lacquer is compatible with most of the surfaces like wood, concrete, metal, polymer, ceramic, etc. Termirepel™ is thermally stable and does not degrade on exposure to heat and sunlight. It does not kill or harm the insect but repels them. It does not volatilize and does not degrade the soil. It is RoHS, RoHS2, ISO, EU BPR, REACH, APVMA, NEA compliant and FIFRA exempted. Next Next post: Leafcutter ant menace!